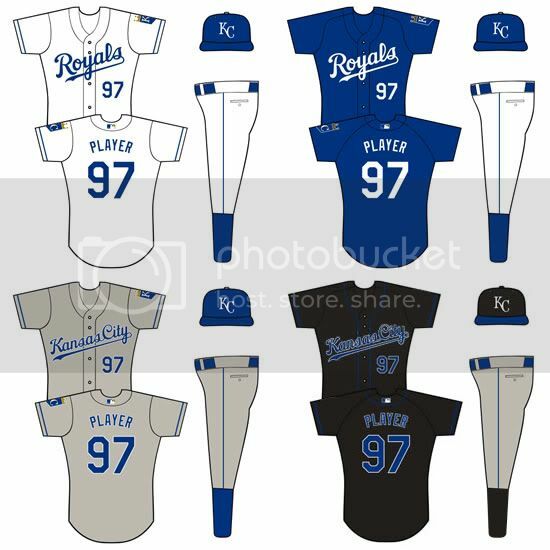 As you know, Royals Corner -- thanks to the persistence of RC correspondent Chris Ray -- has been instrumental over the past few months in breaking the details about the Royals new uniforms. 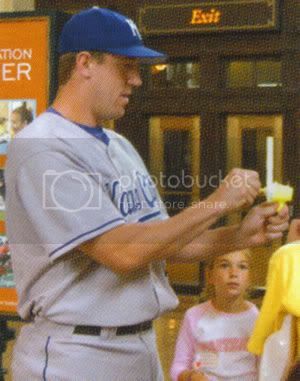 As we mentioned the other day, most of the information was already revealed publicly by the Royals themselves, such as the John Buck photo we posted on Monday, but for some reason the KC media continued to report it as a secret. Well, things started happening pretty quickly after Monday night's post. Chris Creamer of Sportslogos.net used the information we gathered to create renderings of the new home and road jerseys, and he posted them on the front page of his site, while folks in his site's forum discussed the changes and linked to RC. 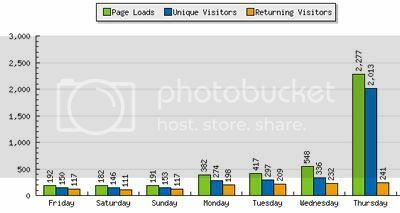 Then to our surprise, Paul Lukas of ESPN.com this morning plugged Royals Corner in his Page 2 column, and we saw a site traffic increase on Thursday of about 700 percent over our weekday average. It's been an exciting day for Royals Corner, and we welcome all new visitors to this site, baseball fans and uniform geeks alike.